Université Centrale, Tunisia’s largest multidisciplinary university singularly focused on improving the student experience. 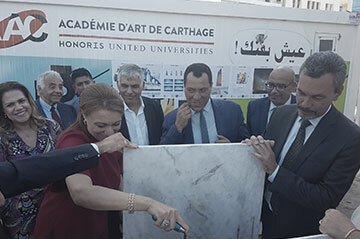 In recognition of its long-standing history and contributions, the university has embarked on an ambitious infrastructure plan, anchored it downtown Tunis, where it has acquired a plot of land to build the largest Tunisian urban campus. 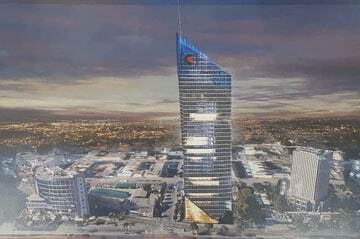 The acquisition of the land and the development of the new campus (20,000 to 25,000 square meters) represents a total investment up to 50 million USD. 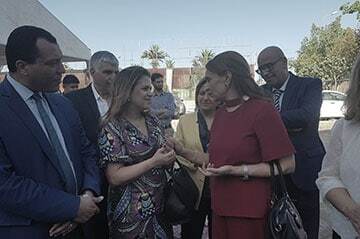 This will be a major milestone capable of transforming the provision of private Higher Education in Tunis and reinforces Honoris’ commitment to pioneering education in the country and to furthering Tunisia as an educational hub in Francophone Africa. On July 17th 2018, Honoris’ executive team and board members were honored by the presence of Mr. Chedly Bouallegue – Governor of Tunis and Mrs. Souad Abderrahim – Mayor of Tunis. The pair joined the team in a ceremony organized to lay the cornerstone of the new Université Centrale campus. We look forward to sharing more as the project advances.